In a perfect world, every user experience interaction would be personal, memorable, and generally excellent. Unfortunately, this is not a perfect world. Continue reading to discover some of the best ways to create a good user experience in a healthcare setting. Your user, in this case a patient, is coming to you because they need healthcare, likely because something is wrong. Creating an experience that is as streamlined as possible is the best way to start a good user experience. For example, technology can help expedite the admissions process, but it cannot eliminate the need for staff to answer questions and ease patients into this process. A personalized message in the exam room can help patients feel attended to and not like they are forgotten. A video on education before they leave helps them know you care about their post-visit life. In each of these scenarios, the patient’s needs are put at the forefront, and their feelings are valued. People tend to enjoy interacting – be it with people, products, or devices. Providing opportunities for patients to be involved in their care is a great way to create a better user experience. This can be through education, entertainment choices, or a variety of other ways. If the patients are interacting with information about their condition, they are more likely to retain that information. Relaxation software can help calm a patient’s stressful emotions and make the medical experience as smooth and uneventful as possible. A device with an intuitive interface and staff members who are encouraged to share the devices with their patients can make a world of difference in the patient’s mind about their experience. As much as possible, help the patient feel comfortable and at home in your facility. A nerve-wracking situation can be easily turned into a positive user experience with the addition of some home-like touches. The people with whom they interact certainly help shape a patient’s experience, but the technology they use when the staff is out of the room also impacts their memory of the visit. If a patient has access to their emails, social media, or entertainment of choice, they are more likely to feel happier with these known comforts. When it comes to technology, remove the possible barriers to adoption. If the device provided to the patient is intuitive and simple to understand for patients of all ages, they’ll be more likely to use it. This is one of the most critical steps. As previously discussed, technology is one of the easiest ways to help patients feel more at home and increase patient involvement. A simple graphical user interface with easy-to-understand buttons can be a key factor in inspiring patients to actually use the device. If it is too difficult to understand, they will likely ignore it – leading to a worse user experience. The graphical user interface should be intuitive enough that a patient could understand how to use it as soon as they pick up the device. At the same time, the device should be flexible enough for the facility to use it to meet their specific needs. These are just four ways to help create a better user experience for your patients. There are certainly countless other tactics that can help transform the user experience, but these are four of the most important ways to help your patients have a good user experience. 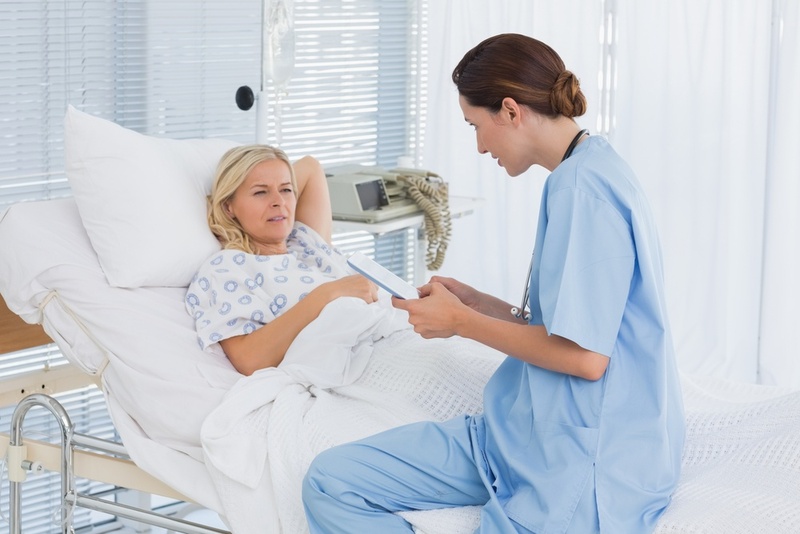 Learn more about the PDi products that can help you improve your patient experience.